One of the most commonly asked questions when talking about youth training is…. 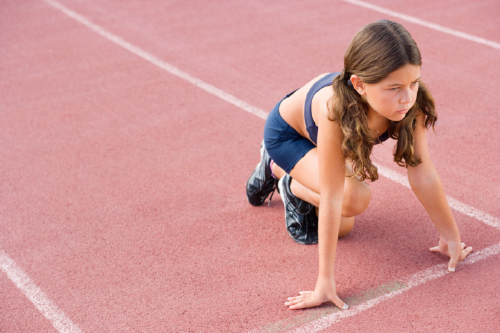 “When can my son or daughter start training and how can they start?” The answer to this question can vary depending on the child. Parents tend to feel pressure to get their son or daughter a trainer because they see other parents hiring trainers for their children. One thing we must always keep in mind when training the younger generation is that every athlete is different and may develop quicker than others. So when should we start? There is no exact age that we should start training our youth for sports. We hear it more and more these days about putting our kids in a variety of sports rather than one specific sport. This theory could not be more correct. Ideally we want our kids to become better “athletes” and the way we accomplish this is by exposing them to different neuromuscular patterns. Now what is “athleticism” you might ask? Athleticism is the ability to execute fundamental movements at a specific or unpredictable speed with precision during physical activity or sports. There is no specific combination of sports that would create the “ideal” athlete, however we want to expose our young athletes to the fundamentals of movements, such as running, jumping, crawling, pushing, pulling, kicking, throwing, squatting, lunging, and twisting. These movements are seen in a variety of different sports from baseball to soccer, lacrosse and something as simple as wrestling. Allowing our young athletes to try a variety of sports (structured or not) is the beginning stages of a strength and conditioning program. Now will our kids excel at every sport put in front of them? No, and that’s just fine! Our young athletes need to learn to struggle with sports. This in turn will help them in the future with their chosen sport. Unfortunately as kids grow older it becomes more difficult for them to play multiple sports. This problem can come from “same season sports”, costs of multiple sports and or location. Not every town or city offers every sport. With that being said we come to the common scenario of sport specification. At a certain age some kids make a choice of which sport to pursue. This age may come sooner for some kids and later for others. In my experience with hockey, this age is around the 13-14 year range. I know this is younger than you would expect, however if he or she wants to excel at their specific sport them must focus solely on that sport. Are there exceptions? Absolutely! Some athletes will develop later than others and begin to excel at other sports at a later age. Strength and conditioning in hockey are now more familiar with each other than ever before. Years ago, a player would show up to training camp to get in shape. Now when you show up to camp they test you to make sure you are in shape. This pressure has trickled down from the NHL level to the Bantam levels. Coaches want to see that you are dedicated to developing into a better athlete/hockey player. This is where professionals like me come into play. 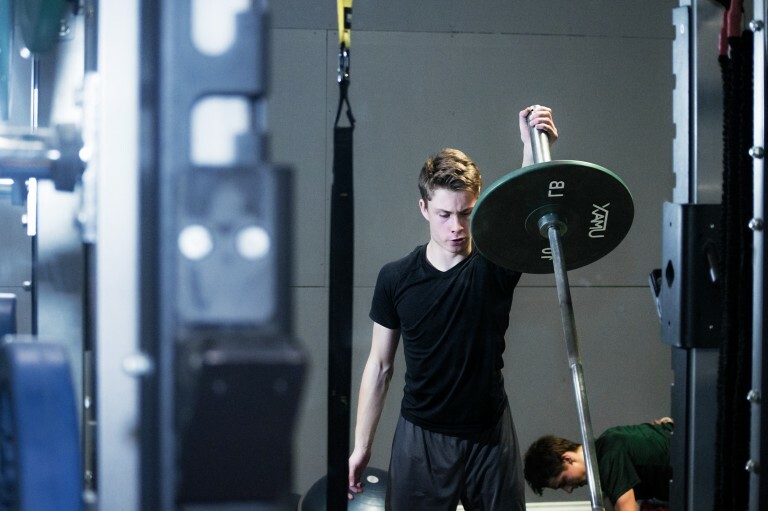 Our goal as fitness professionals is to not only educate our young athletes but also coach them through the process of a strength and conditioning program. When we are training our youth in a gym setting there are plenty of things to be aware of. The number one thing is safety. We don’t want to put our athletes in a vulnerable position that could lead to potential injury. Every sport should be trained specifically to that sport. Doing a sport analysis is necessary before a strength and conditioning program is designed. When designing a program for a young athlete we want to make sure we have a progression and a regression for each exercise. This will allow us to test the athlete in a safe manner knowing we can make the exercise easier or harder for the athlete if they excel. Building a strong foundation for youth athletes is essential for successful strength and conditioning program. A strong foundation is the building block for a successful training program; “core” training is that foundation. This is the type of training that should be done with young athletes at the beginning of a training program. We often see young athletes go through dramatic growth spurts and end up with what I like to call “baby deer syndrome”, kind of awkward and not exactly sure of his or her feet. Working on young athletes hand eye co-ordination, and agility are important for them to help them prevent or transition out of this phase. We want to make the transition from a child to an adolescent to an adult as seamless as possible. When it comes to our kids we want the best for them; that’s undeniable. So do your research and be sure who you trust your kids with when shopping for a trainer. Make sure that your son or daughter is training with an experienced certified fitness professional.